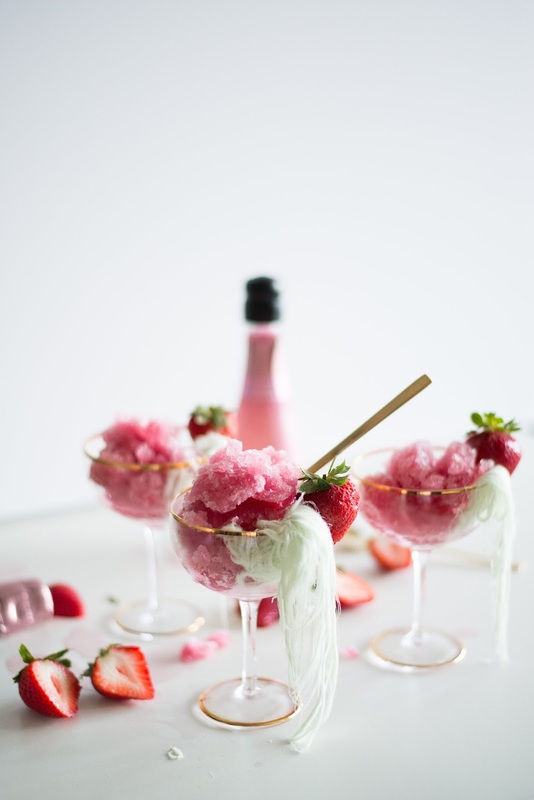 This one is dedicated to the folk that detest the thought of drinking Rosé, but wouldn't turn down a romantic, refreshing and delicious dessert. It is absolutely sweltering here in Sydney. I thought I felt the air turn a bit Autumnal last week and I got a bit excited at thought of whipping out big knits and scarves, but boy was I wrong. 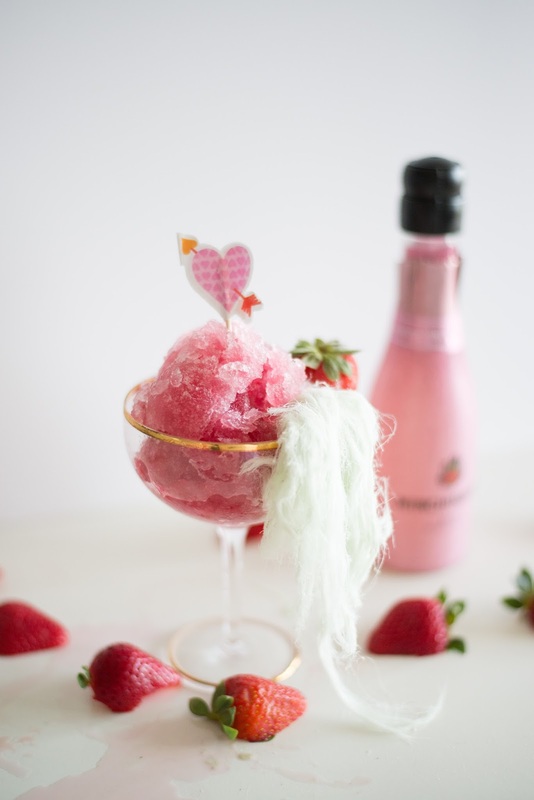 This week, the humidity has really turned up, and when I was brainstorming a food post for Valentine's day, chocolate or any warm dessert was very far from my mind. 3. Leave the saucepan to cool to room temperature then place in the fridge for 30 minutes. 4. Place in the Freezer until the mixture is frozen solid, probably around 4-5 hours. 5. 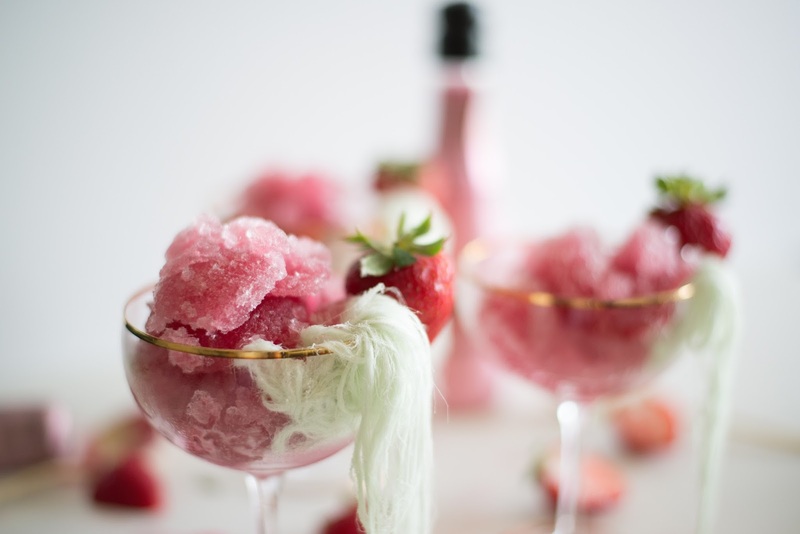 Scoop up the Granita and serve in Champagne coupes. 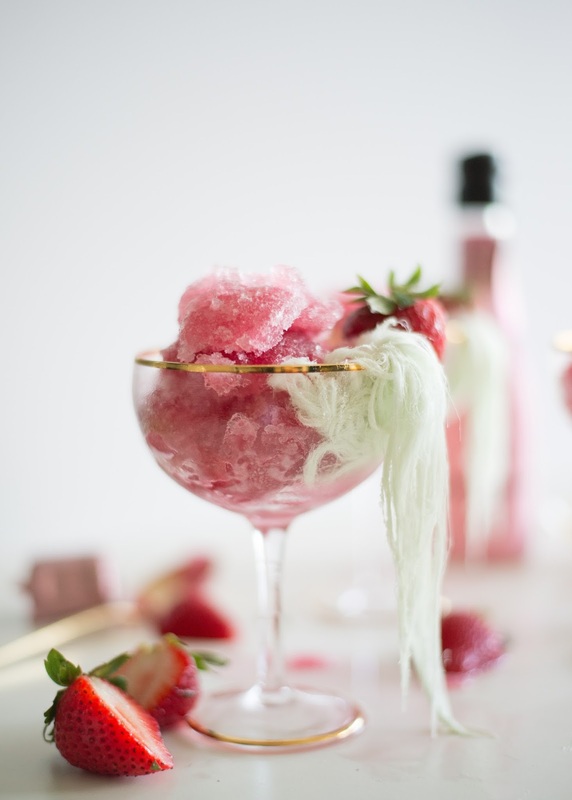 Garnish with anything you like, I decorated mine with Pistachio flavoured Persian Fairy Floss for some contrast & fresh strawberries. 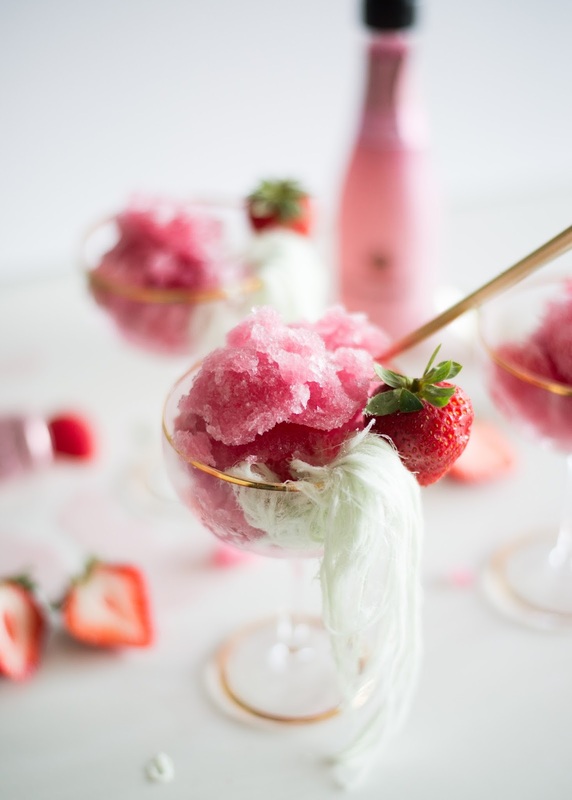 You can also pour this mixture into an ice cream maker to churn and freeze if you would like a smoother texture and turn this into a Rose Sorbet! 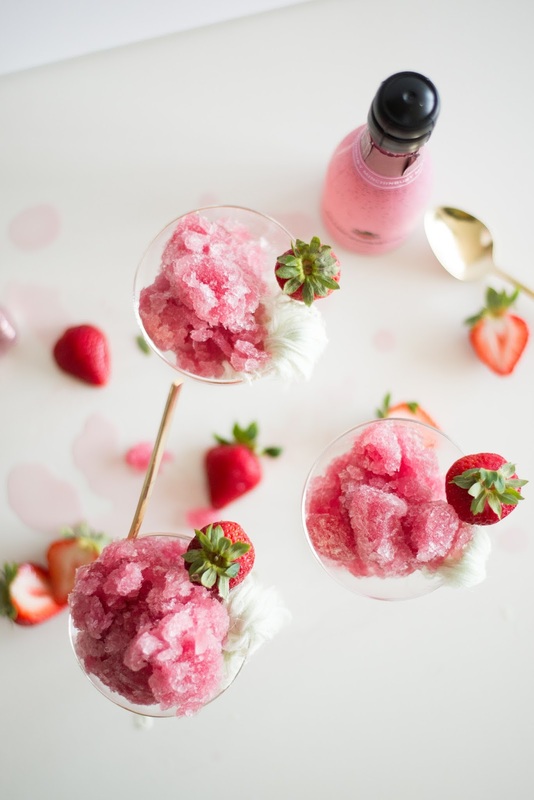 If you don't have an ice-cream maker, freeze the mixture in a metal bowl, when the tops and sides become frozen but the middle is still slushy (about the 2.5-3 hour mark), take the frozen bowl out, and beat the mixture until its smooth. Then return to the freezer until it is fully firm.